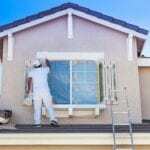 Painting Company, Charlotte, NC | Pride Painting, Inc.
We are a long-standing painting company because of our unsurpassed level of personal service and workmanship. Painting is one of those things that can stay on your to-do list for a very long time because if you’ve done it in the past, you remember that it isn’t as simple as it seems. It can be overwhelming to gathering all the supplies and equipment together and then hope you can get crisp, clean edges that look like a professional painting company did the work. The trick to getting those results is doing it over and over again. If you don’t have enough opportunities to gain that experience, your best bet is calling us at Pride Painting, Inc.
We are a long-standing painting company serving the Charlotte, North Carolina area. Since 1996, we have transformed both residential and commercial properties with our interior and exterior painting and deck staining services. We credit our success to our dedication to customer service and our attention to detail. We stand behind what we do with a solid 3-year written guarantee, something we believe you’d be hard-pressed to find with another painting company. We believe our workmanship and personal service are why our satisfied customers come back to us whenever they are changing their décor, relocating, or need additional painting services. You don’t have to take our word for it that we are an exceptional painting company. Our A+ rating with the Better Business Bureau speaks for itself. You can count on us to do your painting or deck staining project right. Contact us today with any questions you may have or to schedule an appointment to get an estimate for your project.